The online web portal for the Loadall Agri Pro charity auction will be formally launched in September. It will be hosted on the JCB website (www.jcb.com) and stay open for bids for several weeks. Further details will be announced in Farmers Guardian this month. Farmers Guardian has joined forces with JCB to raise money to help young individuals achieve their farming dreams. A unique JCB Loadall Agri Pro, built entirely by 68 of the manufacturer’s apprentices, will be sold at auction in the autumn and the money raised will be donated to the Louise Hartley Memorial Fund and the Royal Agricultural Benevolent Institution (RABI). The one-of-a-kind machine was first unveiled during National Apprenticeship Week in March to highlight the individuals working in the company’s apprenticeship programme and generate an interest in attracting new talent for the future. JCB chairman Lord Bamford, who completed an engineering apprenticeship before joining JCB in 1964, says: “As a former apprentice with engineering running through my blood, I am proud of what our apprentices have achieved with this project. 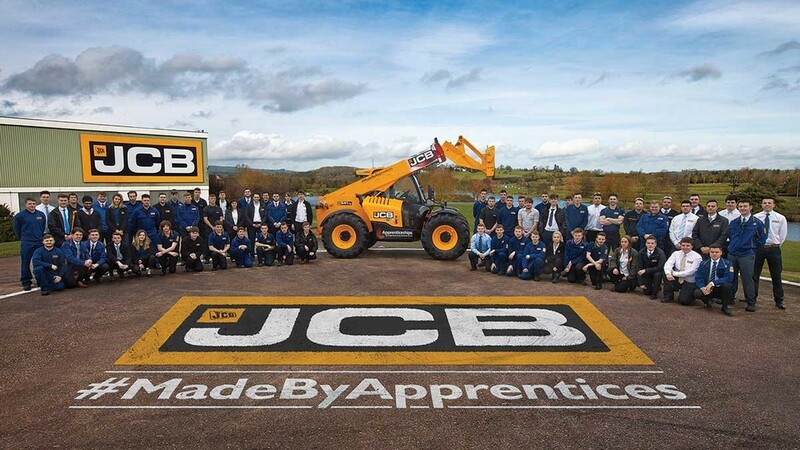 Under the guidance of Chris Morris, the manufacturer’s apprenticeship adviser, young people from JCB sites across the country have played their part in building the bespoke 40th anniversary edition of the popular telescopic handler. More than 200,000 Loadalls have been sold since the machines launch in 1977. It is also the industry’s first telescopic handler which combines characteristics of powershift and hydrostatic drives. Loadall Division apprentice Dan Malbon, 21, from Cheadle, Staffordshire, says: “Being involved in the project has given me departthe opportunity to showcase the theoretical and practical skills I’ve developed since joining JCB, from being able to understand complex engineering drawings to having the imagination and vision to be able to mark it out by hand on a steel bench and then fabricate it. However, it was always the intention to auction the machine to raise money for charity following a similar initiative in 2010 which saw the company raise £70,000 for Help for Heroes through the bespoke construction of the Union Jack 3CX Eco Backhoe Loader. Working with Farmers Guardian, the company has decided to raise money for two agricultural causes. The funds raised by the auction will be given to the Louise Hartley Memorial Fund to facilitate scholarships supporting ambitious individuals who want to progress their farming career. Paul Burrows, RABI chief executive, says: “Our welfare officers have taken courses in suicide awareness and mental health first-aid and want to listen. “Farming is a 24/7 business and many in the industry work long hours in isolation in remote, rural areas. There will always be factors which can quickly cause stress and anxiety to escalate, such as market fluctuations, poor harvests, bad weather and animal disease. “Not seeking support when symptoms first emerge can make things much worse. Many people think being strong involves keeping your head down, working hard, getting on with things and not admitting there is a problem. JCB chairman Lord Bamford says: “I am delighted proceeds from the auction are going to support young farmers through the Louise Hartley Scholarship Fund. Education and skills are crucial to the future success of our farming industry. 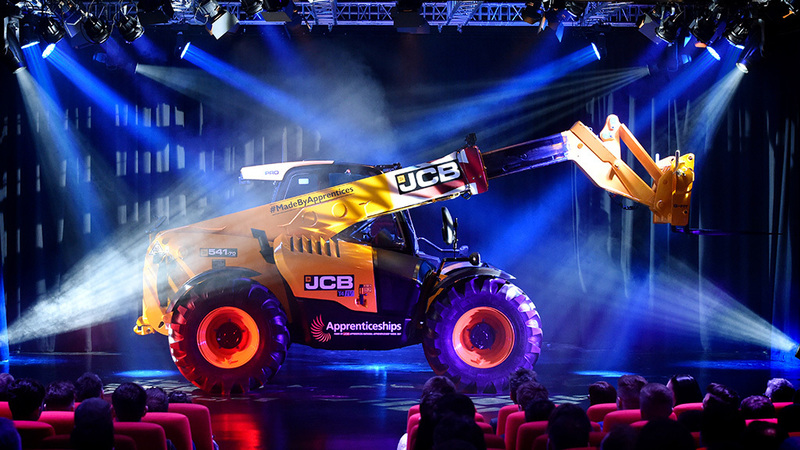 Danusia Osiowy, FG head of features, says: “We are excited to team up with JCB and co-host a unique auction of a bespoke telehandler built by 68 talented apprentices across the country. “The money raised will offer cash incentives to facilitate exciting new opportunities and support young people in achieving their career aspirations. Farmers Guardian has always championed the vital role young people play in protecting and progressing our industry as we look to an exciting, albeit challenging, future. Last year, Farmers Guardian joined forces with the Louise Hartley Memorial Fund and launched a new scholarship to help young people progress in farming. 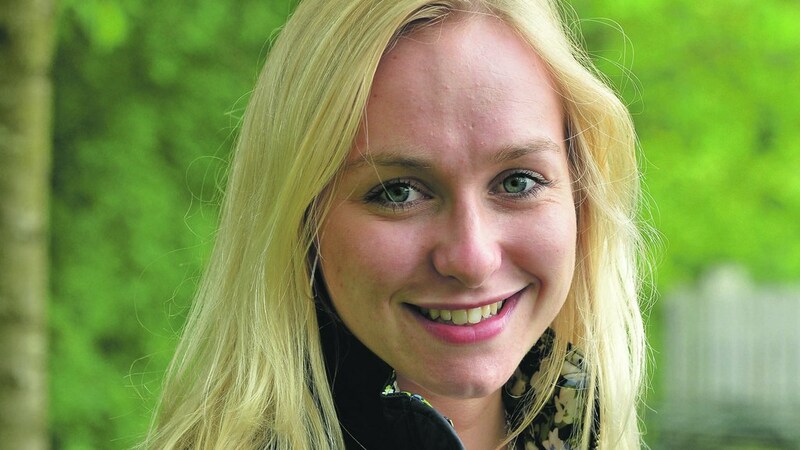 In May, two young farmers were awarded £2,000 each to further their farming careers thanks to the legacy of former FG journalist Louise Hartley, who passed away in July last year after a short battle with ovarian cancer. Scottish new entrant Rory Gregor, Inverurie, Aberdeenshire, is researching and patenting a way to improve sheep welfare, while Jess Simms, Northwich, Cheshire, is using her grant to visit Australia to study beef genetics with the aim of improving the Limousin herd she co-manages with her brother. The 2018 scholarship will open for applications later this year and most of the proceeds raised from the auction will be donated to the fund to support new ideas, strengthen careers and facilitate new opportunities for ambitious young individuals across the UK.